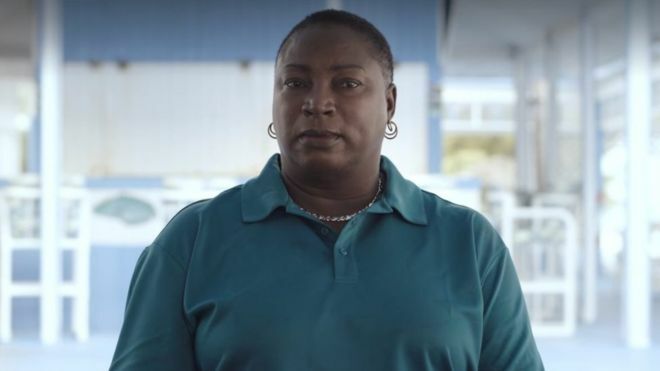 Viewers of Netflix’s Fyre helped Maryann Rolle after she lost her savings in 2017. A GoFundMe page set up to aid a restaurant owner in the Bahamas met its $123,000 target over the weekend after her appearance in Netflix documentary Fyre: The Greatest Party That Never Happened. Maryann Rolle runs the Exuma Point Bar and Grille on the island where the ill-fated festival was due to take place. She was hired by Fyre co-founder Billy McFarland and his company to cater their infamous Fyre Festival in April 2017. In the Netflix film she explains that she was never paid for her work and had to use $50,000 of her own savings to pay staff. She created the GoFundMe page in advance of the movie arriving on Netflix and has seen donations pass her target of $123,000 over the weekend. At the time of writing the total money donated is $129,000 from 3,929 people. "My life was changed forever, and my credit was ruined by Fyre Fest," she wrote on the page, whose legitimacy was backed up by Fyre producer Gabrielle Bluestone. McFarland is currently in jail, serving a six-year sentence for wire fraud. His business partner Ja Rule, meanwhile, distanced himself from both the Netflix film and a competing effort from Hulu in a series of tweets posted on Sunday. Both documentaries have faced ethical scrutiny since their respective releases. The Hulu film features an interview with McFarland, for which the Fyre Festival co-founder was paid. The Netflix documentary, meanwhile, was co-produced by Jerry Media, the company behind the festival's promotion.